People young and old rallied across the tri-state and the nation on Saturday in a "March For Our Lives" to stop gun violence and call for new gun control laws. 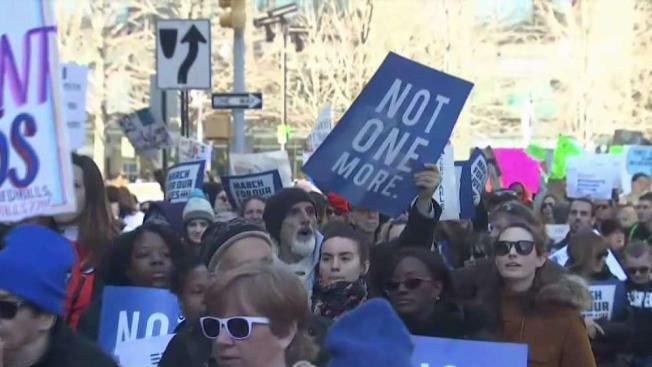 Ray Villeda reports from New York City and Adam Kuperstein reports from Washington, D.C.
With calls for action and activism, tens of thousands of people marched near Central Park on Saturday to demand an end to gun violence and mass shootings in schools. More than 150,000 people flooded the streets as part of the "March For Our Lives," Mayor Bill de Blasio said in a tweet. The march coincided with the largest, in Washington, D.C., which hoped to draw half a million people. Others took place in New Jersey and Connecticut and in more than 800 cities worldwide. As the rally began in Central Park, students urged those attending to get involved, saying thoughts and prayers aren't enough. "There was so much more that could have been done to prevent this," said Meghan Bonner, who shared her story of surviving the massacre at Marjory Stoneman Douglas High School, which killed 17 people including one of her friends. "I want to see change." 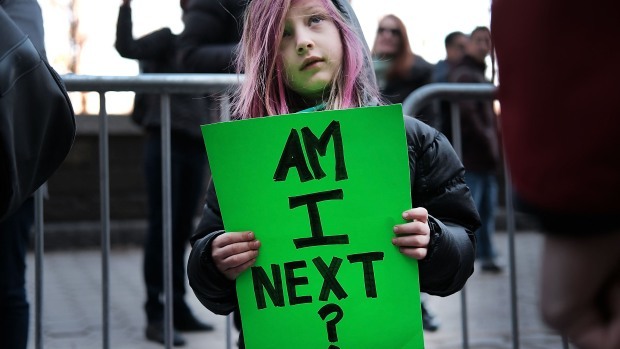 "I don't want to feel unsafe in school anymore," she told the crowd. About 150,000 people marched in near Central Park and in Midtown on Saturday to demand stricter gun control. Sam Hendler, another Marjory Stoneman Douglas student, read the names of the victims of the massacre and led a moment of silence. Speakers also included survivors of the shootings in Las Vegas, which killed 58 people, and Sandy Hook, which killed 20 young children and six adults. 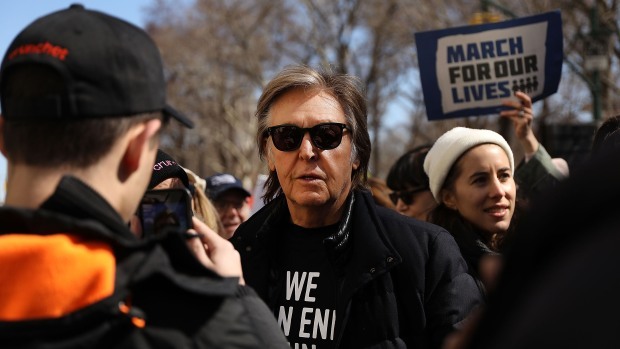 Among those joining the student marchers was Paul McCartney. The former Beatle marched just steps away from where his bandmate, John Lennon, was killed by a gunman in 1980. Parents and students were united with one theme as they moved down Sixth Avenue, chanting things like "NRA go away" and "books, not bullets." "We don't want guns in our schools, we want our children to be safe," Joele Lebenson, of Scarsdale, said. "I'm scared to go to school every day," Talia Lebenson added. 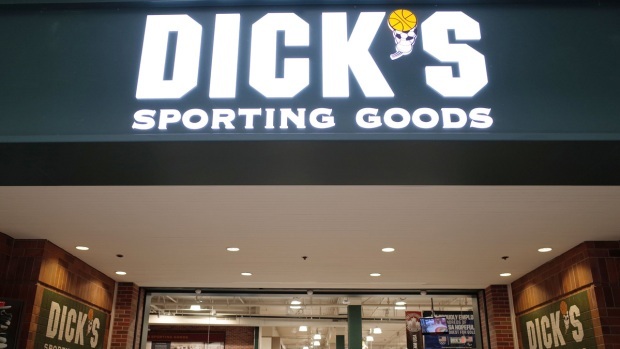 "I'm scared that a shooter will come into our school." Gov. Andrew Cuomo said the march showed a spirit and activism from the youth that would triumph over the NRA. "What this generation is saying is we saw Florida, we understand the facts, and it makes no sense, " Cuomo said. "They're saying: If you won't lead, we will lead." 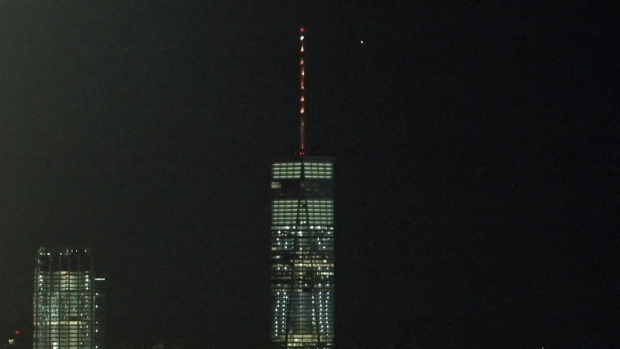 Cuomo directed the World Trade Center to be lit up in orange Saturday night in honor of the march. Gov. Andrew Cuomo ordered the 408-foot spire of One World Trade Center to be lit orange on Saturday night to honor the March For Our Lives rally and its push for gun reform. "Today is the day we unite to say the NRA is not going to win," Cuomo said in a press release. Sen. Chuck Schumer also cheered on the crowd and gave high-fives to those in attendance. The march also drew counterprotesters. Dozens of people opposed to gun control gathered at Columbus Circle, holding signs that said "Sheep" and "Keep America Armed." Students have emerged as leaders in the gun control debate since the Feb. 14 shooting. Earlier this month, students led a national walkout that included school faculty and staff. Saturday's national day of action calls for lawmakers to pass gun safety legislation. Other rallies took place across the tri-state area, including in Morristown, Jersey City, Newark, Englewood and Hoboken in New Jersey and in Hartford and Enfield in Connecticut. Gianna Serro, a senior at North Bergen High School in New Jersey, had traveled to the New York city protest with two classmates.